But what has caught everyone's attention was Gujarat scoring high on its land acquisition practices. The report says that Gujarat Industrial Development Corporation has hugely simplified land acquisition in the state with minimum direct government participation. Recently, the department of industrial policy and promotion (DIPP), a wing of Commerce and Industry ministry, released a report titled 'Best Practices to Improve the Business Environment across India'. While the report says that India ranks poorly in terms of business environment as per the World Bank and World Economic Forum reports, it also talks about the successful ease-of-doing-business models that have been implemented by several Indian states such as Karnataka, Gujarat, Maharashtra, Punjab and Rajasthan. But what has caught everyone's attention was Gujarat scoring high on its land acquisition practices. The report says that Gujarat Industrial Development Corporation has hugely simplified land acquisition in the state with minimum direct government participation. "Price determination [is] based on market prices [which are] determined by a scientific method and investors can make a large part of their research without even visiting the land," the report points out. The report speaks highly of the Gujarat's land acquisition model. However, recent instances show that the even Gujarat is facing similar challenges (in acquiring land) as other states do. For instance, there are three recent examples of farmers protesting against the acquisition of land to set up industrial areas. These are the Mandal-Becharaji Special Investment Region (SIR), Hazira SIR and Dholera SIR. Last month, the Gujarat government decided to withdraw the Hazira SIR notification after strong protests from farmers. Hazira SIR, which falls under Surat district, was envisaged to be built over more than 24,000 hectares of land. Special Investment Regions, which should not be confused with SEZ, are built on large land pieces and offers a range of services that are investment-friendly. In January, a large group of farmers protested against the Dholera SIR, the dream project of Gujarat's chief minister and now Bharatiya Janata Party prime ministerial candidate Narendra Modi. The farmers opposed the acquisition of their agricultural land for developing this SIR. The development of Dholera SIR, which is about 100 kms away from Ahmedabad, is part of the government's ambitious DMICDC (Delhi Mumbai Industrial Corridor Development Corporation) project. Spread over 920 sq kms, Dholera SIR is expected to become a global manufacturing and trading hub in years to come. Then in 2013, similar protests were made by farmers at the Mandal-Becharaji Special Investment Region (MBSIR), where Maruti Suzuki is planning to set up its third manufacturing plant. 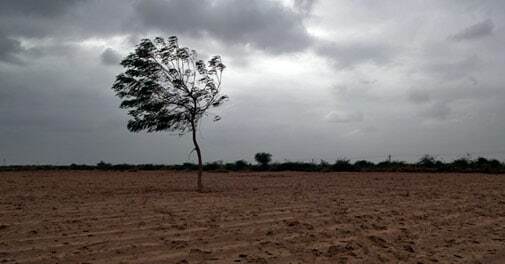 Facing acute pressure, the Gujarat government (in August last year) had to withdraw 36 out of 44 villages from the proposed list of villages that were part of the original MBSIR plan. Seen as the next big auto hub in the country, the government is now left with 20 per cent of the 50,884 hectares of land that was supposed to be acquired for MBSIR.